A Manager’s job is to maintain the general running of a team to free the coach to concentrate on the coaching and training aspects of the team. A Manager should also be a liaison person between team/coach/parents/ information officers and the office administration. Team Mangers work closely with the Coach to bring about a high level of team spirit & camaraderie within the team and with all other members of the Club. Regularly distribute material received from the Club to players and parents as appropriate and attending to the administrative tasks as requested by the administration of the Club. 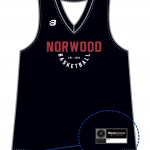 The website www.norwoodbasketball.com.au also provides up-to-date information. Complete a Manager’s Registration Form and return it to the Norwood Office by fax (8125 5766) or email (admin@norwoodbasketball.com.au). Maintain up to date list of team members including any change of address and phone numbers. Notify the Office by faxing to 8125 5766 a ‘Junior Update Form’ or notify the office of any changes by email (see above). Retain the completed Medical Form in the Team Manager’s Folder. In case of an emergency this record is to be referred to. Follow up any medical problem with parents involved. Do not send the Medical Forms to the office. Ensure any new player to the Club completes a Player Registration Form and that the form reaches the office. Prepare and distribute to all parents a scoring roster. It is a requirement of this club that each player provides a person who can take their turn on the score bench at matches. Ensure that you advise the parents/helpers who are unable to score on their rostered day to arrange a swap with another parent/helper. It is generally not the role of the Team Manager to score as they will be supporting the players during the game. It is often useful to include the names of the parents and a contact number on this roster. We will also conduct STOP’ (score table personnel) training from time to time as a Club. Watch the website for details. Ensure that all players are in the correct playing uniform. The blue playing top is worn in all regular home matches. The red top is to be worn in any away matches against Southern and Forestville. 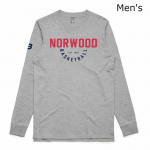 If two Norwood teams are playing each other the first named team will wear blue, and the other red. 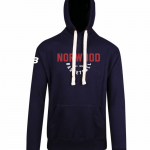 All players are to present a professional image when representing the club, and non Norwood gear is not to be worn to matches. Ensure each player at the game has a named drink bottle. It is preferable that they also each have their own towel. Drink bottles and towels should NOT be shared. The Manager should offer drinks from the bench as players come off the court. The on-court players sit on the bench during time-outs and the players on the bench stand up. Do not allow parents or siblings to sit on the players’ bench. At a game do not allow non-team members to sit on the bench. The Manager should collect a copy of the scoresheet from the score bench at the end of each game. Ensure the copy is kept for future reference. At the end of a match encourage the team members to clear the bench area quickly so that the next team may prepare for their game. The Club provides a First Aid kit for each team. Ensure that the First Aid kit is at all training sessions and matches. At the end of the season, the team is to replenish the kit. The kit is then returned to the Club office by the date as indicated in the August newsletter for redistribution the following season. Notify team members of any changes to trainings or games. Keep up to date generally with what is happening within the Club which may affect your team or parents eg. Stop Training, New Parents Meetings, SMAC (Sports Medicine) courses etc. Have a fun get together with your team at the beginning of the season.